We are evaluating and accepting Bard Recovery and G2 IVC Filter injury cases.
. As I wrote previously in my blog, there are serious and fatal complications of the widely used Bard inferior vena cava (IVC) filters. IVC FILTERS - WHAT ARE THEY? 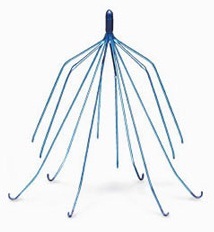 IVC or inferior vena cava filters are umbrella-like devices used in patients who are at risk of pulmonary embolism, but who are unable to take anticoagulation medications. An inferior vena cava filter is a metallic safety net placed in a large vein called the inferior vena cava. The filter that is placed in the inferior vena cava is designed to catch any blood clots that may form in the lower body before they travel into the lungs and become life-threatening pulmonary emboli. Information and commentary provided by Dallas Fort Worth Personal Injury Attorney Dr. Shezad Malik. The Dr. Shezad Malik Law Firm can be contacted in Dallas toll-free at 888-210-9693. If you or a loved one has been injured from the Bard Recovery and G2 IVC Filter, please fill out our contact card for a free consultation. If you believe that you or a loved one have suffered an injury as a result of a Bard inferior vena cava (IVC) filter, speak to an experienced medical device attorney and medical doctor to determine whether you may be able to file a lawsuit. Please contact the Dr. Shezad Malik Law Firm to discuss your case with a lawyer in our defective drugs and medical devices department. Please call 1-888-210-9693. Also please fill out the “Contact Us” form on the left side of this page or click here to email us. Please be sure to include your name, address, telephone number, email address and the exact nature of your question, so that our lawyer can provide you with the specific information you seek about inferior vena cava (IVC) filter lawsuits. G2™ Filter System Lawsuits allege that the G2 Filter System possesses manufacturing and design defects which resulted in device failure. The injured plaintiffs experienced fracture and migration of the G2 Filter. The Recovery IVC filter was approved by the Food and Drug Administration in 2002. It was placed on the market for use in 2003. Its manufacturer, Bard Peripheral Vascular withdrew the Recovery IVC filter from the market in 2005 and replaced it with the G2 IVC filter. The G2 IVC filter is the "second generation" of the Recovery IVC filter. A recent medical report has found that 25% of all Bard Recovery IVC filters and 12% of Bard G2 IVC filters fractured. There are three major manufacturers of retrievable IVC filters, C.R. Bard, Cordis and Cook. The U.S. Judicial Panel on Multidistrict Litigation (JPML) granted coordinated pretrial proceedings in the federal court system, centralizing all Bard IVC filter injury lawsuits before U.S. District Judge David G. Campbell in the District of Arizona. According to the JPML data as of January 18, 2018, there are 3,494 cases involving C.R. Bard’s Recovery and G2 IVC filter pending in the District of Arizona. There are more than 3,698 Cook IVC filter lawsuits involving the company’s Celect and Gunther Tulip blood clot filters that have been centralized in a multidistrict litigation in the U.S. District Court, Southern District of Indiana. As is common in product liability MDL cases, a series of early trial dates known as “bellwether trials” will be scheduled against each of the IVC filter makers to assist the parties to determine how juries may respond to testimony over the long-term risks associated with the IVC filters. Despite hundreds of complaints to the FDA indicating that the G2 failed to correct the problems of the earlier model, Bard not only failed to correct the issues associated with the Recovery filter but refused to recall the product. (Cook Medical, Inc., IVC Filters Marketing, Sales Practices and Products Liability Litigation – MDL 2570; In Re: Bard IVC Filters Products Liability Litigation – MDL No. 2641). Information and commentary provided by Dallas Fort Worth Personal Injury Attorney Dr. Shezad Malik. The Dr. Shezad Malik Law Firm can be contacted in Dallas toll-free at 888-210-9693. If you or a loved one has been injured from the Bard Recovery and G2 IVC Filter, please fill out our contact card for a free consultation.